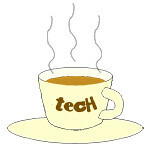 design « Tech bytes for tea? The new IBM Studios Singapore joins a global network of 30 IBM Studios and will create cognitive-driven digital experiences for the company’s clients. Tharman Shanmugaratnam – Deputy Prime Minister & Coordinating Minister for Economic and Social Policies – speaking at the opening of the new Design Studios Singapore during the launch of The Watson Centre at Marina Bay. IBM today announced the opening of IBM Studios Singapore, a new design center to help clients reinvent their business for the digital age and develop individualised experiences through a combination of cognitive capabilities and experience design. “Our designers work with clients through the customer experience from strategy, creative and design to scalable digital, commerce, mobile and wearable platforms. We sit side-by-side with our clients to invent and co-create personalised, innovative solutions using IBM’s leadership in cognitive, research and design to take digital experiences to the next level for clients,” said Stefan Hirsch, ASEAN Lead for IBM iX. The announcement was made at the launch of IBM’s Watson Centre at Marina Bay in Singapore, and was officiated by Deputy Prime Minister Tharman Shanmugaratnam. Located in the Marina Bay Financial Centre, IBM Studios Singapore will serve as the regional hub and will host more than 100 designers and digital experts from IBM iX (Interactive Experience). IBM iX provides next-generation services dedicated to digital reinvention and transformational outcomes. Clients will work side-by-side with teams of IBM creative designers, researchers, digital strategists, analytics and cognitive solution experts to analyze their business challenges and co-create new business models and offerings. IBM iX applies the principles of IBM Design Thinking, which takes a rapid prototyping approach to user-centric product development, as well as IBM Design Language, a framework to inspire bold and engaging experiences. In an investment to accelerate development and commercialisation of disruptive technologies in Asia, the new Watson Centre houses “IBM Garage Singapore” and “IBM Studios – Singapore”; and will facilitate close to 5,000 IBM Cognitive Solution Professionals across the region co-creating with clients to drive transformation in their organisations. Tharman Shanmugaratnam – Deputy Prime Minister & Coordinating Minister for Economic and Social Policies – officiating the launch of The Watson Centre at Marina Bay (in Marina Bay Financial Centre Tower 2). Within the next five years, disruptive technologies such as cognitive computing and blockchain are expected to drive dramatic shifts in every industry, from healthcare, to financial services, to tourism. “We are pleased with IBM’s decision to establish their APAC HQ and the new Watson Centre, together with a number of innovation initiatives, in Singapore to develop impactful digital solutions for their clients. This is a testament to Singapore’s growing start-up ecosystem, presence of strong industry verticals and the availability of digital talent with deep capabilities,” said Yeoh Keat Chuan, Managing Director, Singapore Economic Development Board. To help clients of all sizes in the Asia Pacific region lead in shaping the future of their industries, IBMtoday announced plans to assist in the rapid prototyping and commercialisation of solutions based on cognitive computing and blockchain. IBM today opened The Watson Centre at Marina Bay, an incubator designed to bring together organisations of all sizes, business partners and IBM experts to co-create business solutions that leverage IBM’s cognitive, blockchain and design capabilities. IBM’s new Asia Pacific headquarters is based in the same location, in the heart of Singapore’s financial district. Watson Centre at Marina Bay will act as a centre of expertise for almost 5,000 IBM cognitive solutions professionals in the Asia Pacific region alone, including researchers, IBM Watson specialists, data scientists, software engineers, agile developers and analytics experts. POTD: Who designed & built Eiffel Tower in Paris, France? Photo of the Day: The Eiffel Tower is named after engineer Alexandre Gustave Eiffel. His company designed and built the landmark in Paris in 1889. View of the Trocadéro framed by the bottom of the Eiffel Tower. Taken with a Canon EOS 7D Mark II with EF-S 18-135mm f3.5-5.6 IS STM kit lens. Photo credit: John Tan. According to Wikipedia, “the design of the Eiffel Tower was originated by Maurice Koechlin and Émile Nouguier, two senior engineers who worked for the Compagnie des Établissements Eiffel”. This was the dude who brought the Eiffel Tower into this world – Alexandre Gustave Eiffel (1832-1923). The bust was unveiled in 1929 and is now at the base of the Northern leg of the Tower. Taken with a Canon EOS 7D Mark II with EF-S 18-135mm f3.5-5.6 IS STM kit lens. Photo credit: John Tan. The tower was to serve as a centrepiece for the Exposition Universelle to celebrate the centennial of the French Revolution. Incidentally, the first time I visited the Eiffel Tower was in 1989, smack in the middle of the bicentennial celebrations of the French Revolution. Gustave Eiffel bought the rights to the patent for the design which the original designers had taken out and eventually saw the Tower to completion in time. As with all things new, the design met with opposition and criticism right from design stage till after completion – but history has proven that the design is technically robust and aesthetically appealing.